Often, interior designing, from the modern viewpoint, is associated with modern designs, stylish lamps, rich-flooring, polished doors, and vents, etc. However, the association, I would say, is inadequate, or underrated. Interior designing, in contrast to what many people think, has been in existence right from the day human beings started residing under roofs. Perhaps, some would reserve their opinion here, but then, if you look at the larger or a holistic picture, many of you would agree to this fact. Of course, it wasn’t a profession back then. But, if you travel to far off places and visit ancient residences, temples, and forts, you would understand that the roots of interior designing are almost as old as our concept of homes. So, one can say that interior designing has evolved over centuries and millenniums to shape into what it is today – an industry as every one of us addresses it. Better coming to a conclusion, rather than jumping to it! With this blog, I would focus on the evolution of interior design, right from its fundamentals to its glitter today. Right from those simple and basic mud huts, to the 15th-century royal mansions, many of which are maintained even today, interior designing has evolved and has witnessed several millions of changes. Primitively, the idea was only to enhance the aesthetics of the home, which later on developed a cultural dimension to it, with every culture and region nurturing and boasting about its own cultural architectural patterns and designs. For instance, in India, experiencing southern temples, their architectural styles, along with the interiors is extremely different from that of experiencing the ones situated in the western part of the country. Furthermore, as with cultures, one would see a lot of differences in the designs prevalent in the northern and central parts of the nation as well. This period was strongly influenced with complex designs carved out of a single stone. The interiors along with the exteriors were mostly comprised of Hindu gods and goddesses, along with various other creative masterpieces of sculpture, which, besides appreciation, would also leave you wondering about the making process. That’s only with the temples though. There have been a lot of changes with residences as well. The earlier straw and mud houses, later on, developed into concrete stone structures, which promised to remain strong for a long time to come. Forts could serve as a classic example of stone made structures, although yes, a lot of ancient caves too could join this league. This clarifies that fact that interior designing, which was primarily governed by the availability of the then tools and techniques, later on, graduated to a culturally influenced art. The use of stones and various metals such as bronze, copper, etc. coupled up with wall-designs to enhance the aesthetics of the house, profess another dimension of the evolution of interior design. Last Century to the Existing Modern Times! Let us now take a leap from the medieval period to the last century, and then reach the modern-day interior designing trends. So, if you take a look at the last century, precisely from the 1900s to around roughly around 1970s in case of India, homes were mostly decorated or enhanced with the help of heavy metals or predominantly wood. For India, in particular, which, mostly believed in simple living, it took around the 1970s for the wood and heavy metal era to finish, as against the western countries that left it behind in 1950s-60s. Later on, in the 1980s-90s, simple and conventional kitchens were replaced or renovated with modern and easy-to-operate trolleys, drawers, modern appliances, etc. Living rooms and bedrooms too underwent changes in the form of expensive wallpapers, lustrous paints, floorings, windows, doors, modern fixtures and so on. Today, in 2019, visiting a modern home would help you witness all the changes that have happened. Homes today have turned absolutely modern, with modern gadgets, systems, and with more emphasis on being able to make optimal usage of the compact space. Again, with IoT that looks forward to inter-connecting every household device, and with the application of various technologies in preparing interior designs, interior design has gone to an entirely new level, which, perhaps, could have seemed unimaginable a few decades ago. The advancements in techniques, tools, access to information, changing consumer mindsets and technology have been major contributors to the evolution of the interior designing. Perhaps, no one could have ever thought of this uncredited activity to grow into a multi-billion dollar industry, employing millions of people across the globe, and revolutionizing the way people have been living. 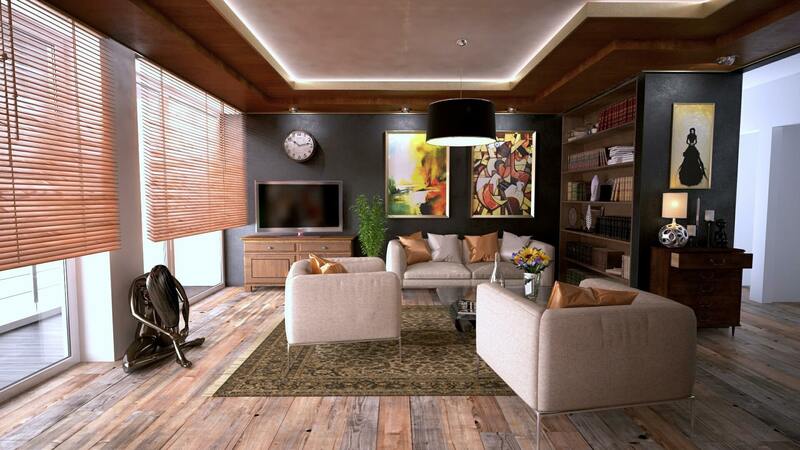 Hence Interior Designing Courses are in such a high demand and most of the course are of 3 years or 1 Year. Are you looking for any such courses like B.Sc Interior Designing or Diploma in Interior Designing?